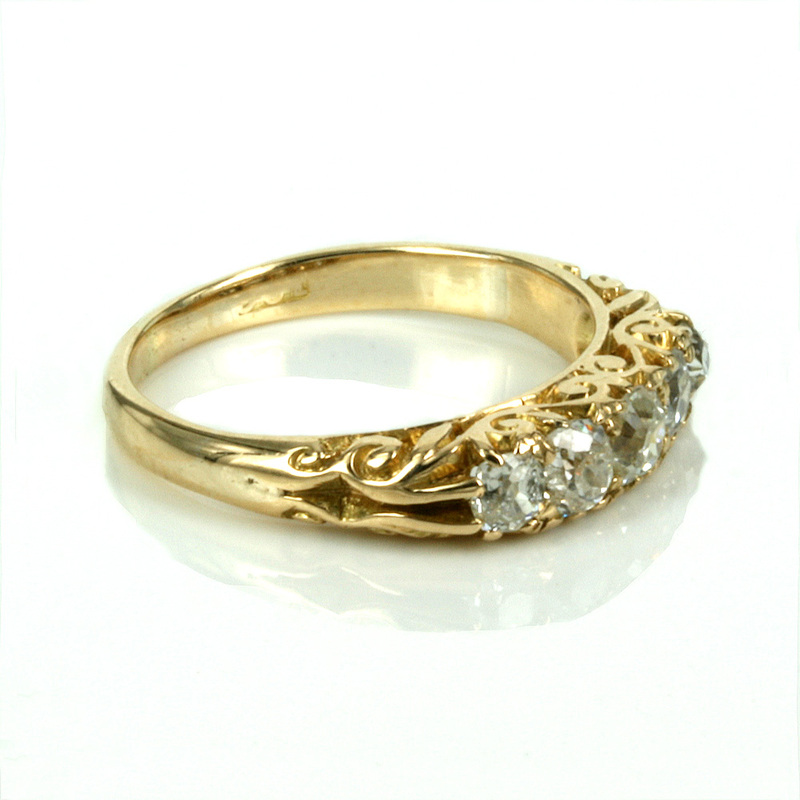 Antique diamond engagement ring dating from the 1890’s. Product code: ES6052 Categories: Sold Items, Sold Rings. 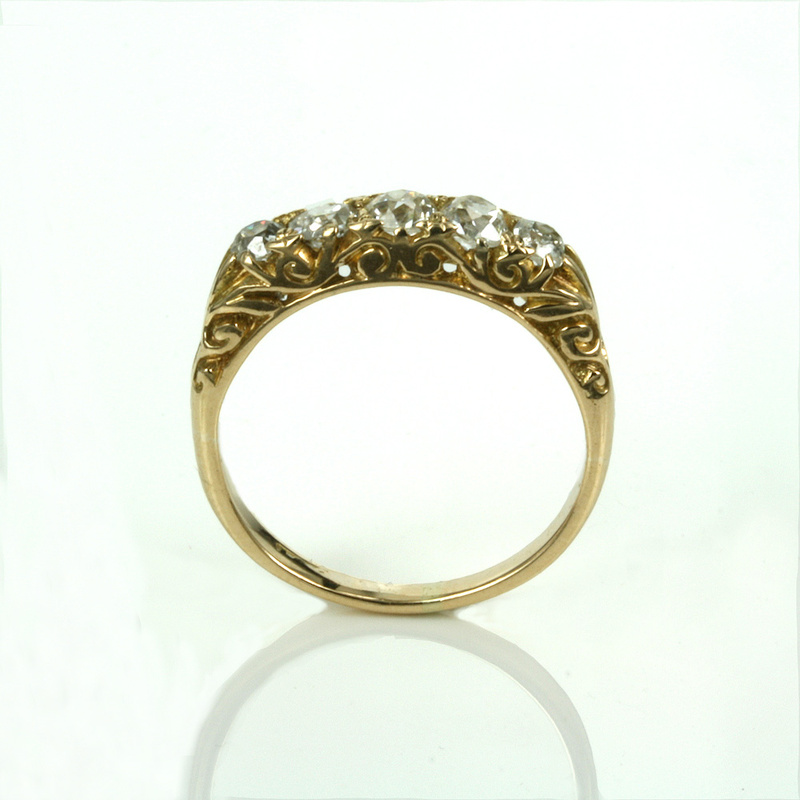 So often in many antique diamond engagement rings, it is not just the charm of lovely hand cut diamonds that have all the beauty but it is also the detail in the setting as can be seen here in this lovely antique diamond ring. 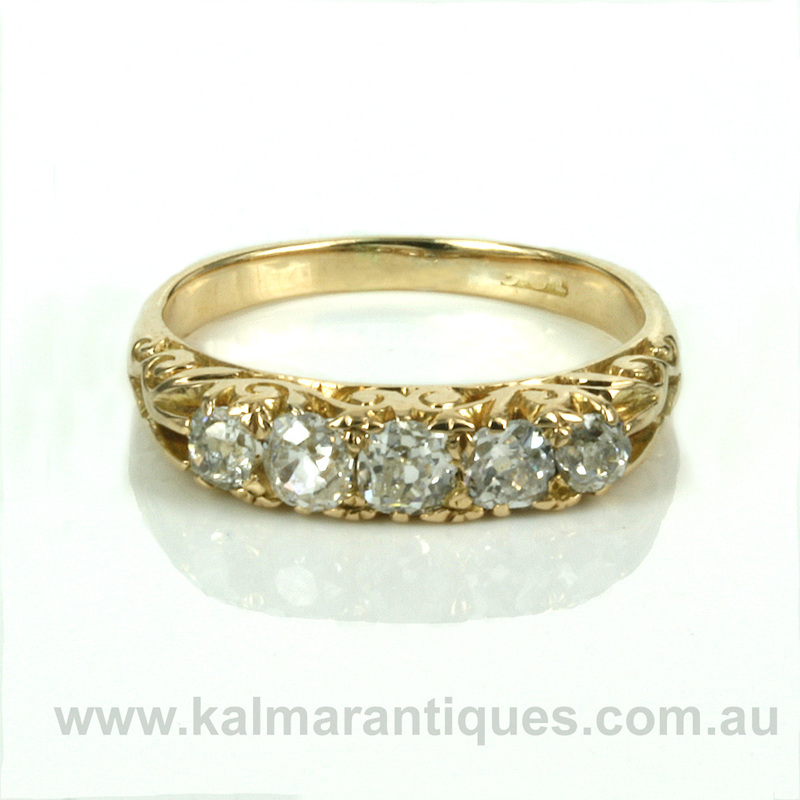 Hand made in 18ct yellow gold in the Victorian era of the 1890’s, this ring is set with five very lively old European cut diamonds that graduate smaller to the largest one in the centre. The two side diamonds total 0.22 carats, then the next two total 0.34 carats and the centre diamond 0.25 carats, and all are F to G in colour and Vs to Si in clarity and they all sparkle so beautifully. From one side across to the other, this distance measures 16.2mm by 4.3mm wide at the centre. Then there is the added beauty and character of the side of this ring. There is the most incredible scroll work that really shows how much time and effort that went into making this ring. The scroll work is just so lovely and even goes down the sides of the ring leading to the band. Perfect for any occasion, this would also make the most beautiful and elegant example of an antique diamond engagement ring that will always be loved and admired.